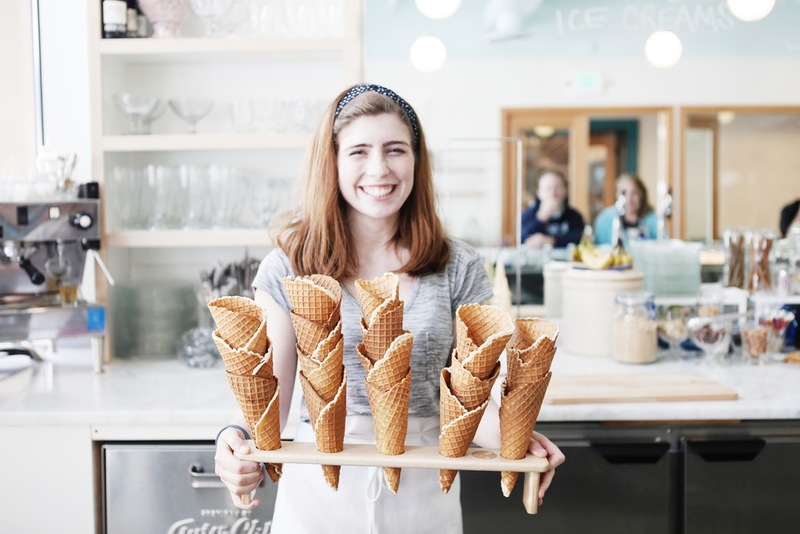 In the heart of historic Pike Place Market, Shug's Soda Fountain & Ice Cream takes a classic idea and brings it to Seattle with a modern flair. 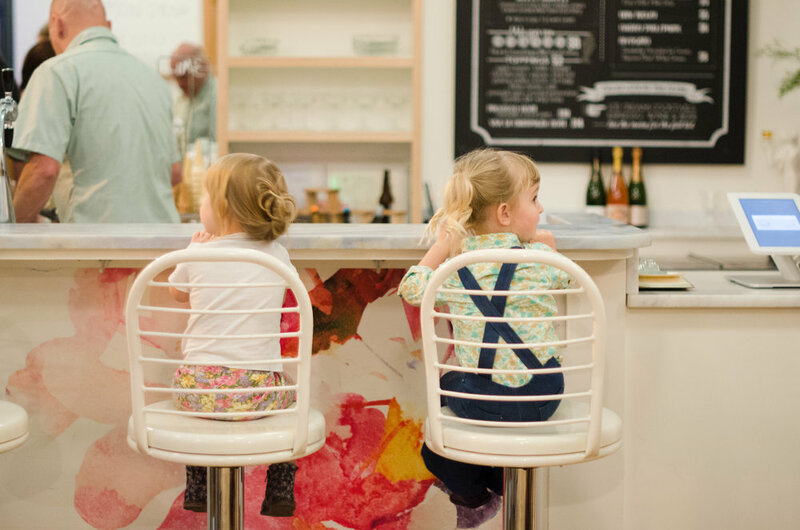 Opened May of 2016 by Seattle natives Paul Dormann and Colleen Wilkie, Shug's brings you all of the nostalgia, delicious sundaes, sodas, floats and more, in a beautiful, light, and modern space. Featuring house-made syrups, sauces and toppings, Lopez Island Creamery small-batch and independent Ice Cream, Organic Coffee, Beer, Wine & Ice Cream Cocktails--Shug's has something for everyone. Whether it's a day out with the family, or a night out with your sweetie--Shug's is the place to be. BOOK OUR PARTY ROOM FOR YOUR NEXT EVENT! WHETHER IT BE A BIRTHDAY PARTY, TEAM MEETING, BACHELORETTE PARTY, ANNIVERSARY, OR ANYTHING INBETWEEN. WE LOOK FORWARD TO DESIGNING YOUR MENU, DRINK OPTIONS, DESSERT CHOICES AND MAKING YOUR ICE CREAM SOCIAL DREAMS COME TO LIFE. CAPACITY FOR UP TO 20. DON'T FORGET THE MAGNUM OF CHAMPAGNE! SHUG'S ICE CREAM CART "BUBBLES" IS READY TO ROLL INTO YOUR PARTY. THIS ULTIMATE TRAVELING CART ON WHEELS IS EVERYTHING YOU NEED TO ADD SWEETNESS TO YOUR NEXT EVENT. 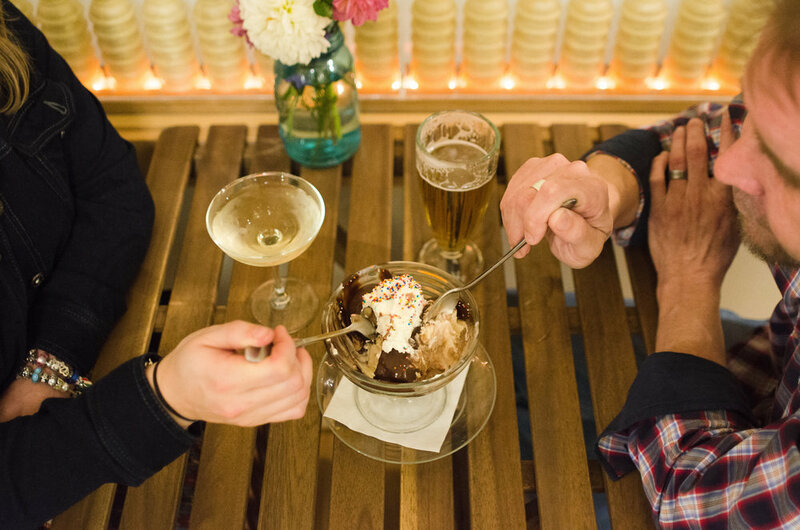 YOU GET TO CHOOSE UP TO 6 DIFFERENT ICE CREAM FLAVORS, WITH THE OPTION TO INCLUDE ICE CREAM COCKTAILS, CHAMPAGNE FLOATS, OR ICE CREAM SODA FLOATS! WE VALUE YOU AND PROVIDE EXCELLENT & HAPPY CUSTOMER SERVICE. UNIQUE PHOTO OPPORTUNITIES ARE AVAIALBLE WITH THE BIKE. OUR CART ADDS EXTRA HAPPINESS AND SWEETNESS FOR YOUR WEDDING, BIRTHDAY, WORK PARTY, SCHOOL FUNCTION OR FAMILY GET TOGETHER.